You are at:Home»Cannabis»CHEMESIS INTERNATIONAL INC. ACQUIRES 19.9% EQUITY STAKE IN GSRX INDUSTRIES INC.
Chemesis International Inc. has entered into an agreement to acquire 19.9 per cent of the outstanding common stock of GSRX Industries Inc. Through its various subsidiaries, GSRX is in the business of acquiring, developing and operating retail cannabis dispensaries in Puerto Rico and California. GSRX also operates one Pure and Natural retail kiosk and is in the process of launching two additional hemp based non-THC CBD retail store fronts in Tennessee and Texas. 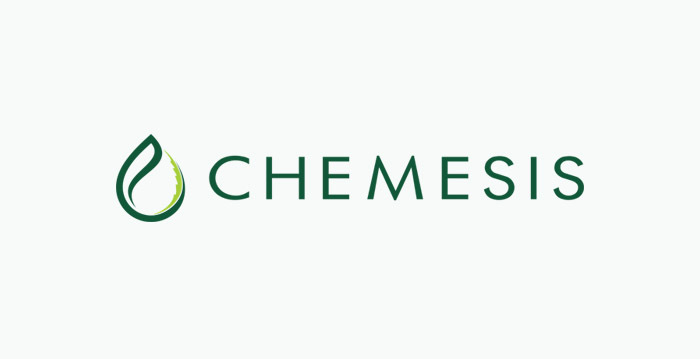 Chemesis has extensive manufacturing, processing and extraction capabilities, which ties together with GSRX’s ability to professionally operate dispensaries and CBD stores. This will greatly expand Chemesis’ footprint in strategic locations, specifically Puerto Rico, California, Tennessee and Texas for both THC and hemp based non-THC CBD products. As part of the Agreement, GSRX has granted Chemesis a right of first refusal to manufacture GSRX’s current and future production requirements in all jurisdictions where Chemesis has production capabilities that will meet the demand of its location and product growth. GSRX also will ensure that there is dedicated shelf space for Chemesis’ brands and products at each GSRX licensed THC dispensary and CBD store. Recently GSRX raised its first quarter 2019 consolidated revenue guidance to USD $2.7m-$2.9m. GSRX has five additional pre-qualified dispensary locations at various phases of development and construction for initial expansion in Puerto Rico. Before joining GSRX in 2017, CEO Leslie Ball most recently served as Chief Executive Officer of Corral West Ranchwear, which expanded to 140 locations throughout the U.S. under his leadership. Prior to his time at Corral West, Ball spent 22 years at Macy’s, the largest U.S. department store by retail sales, where he served in various roles including President, Macy’s East, Macy’s Wholesale & Macy’s South as well as CEO, Macy’s Midwest. Pursuant to the terms of this acquisition, GSRX Industries Inc. will issue 11,666,998 common shares to Chemesis, which is equal to 19.9% of GSRX’s outstanding common shares. GSRX has also granted Chemesis a pre-emptive right to maintain such ownership percentage. In exchange, Chemesis will issue 7,291,874 common shares to GSRX. The shares exchanged under this transaction shall be subject to a mutual 36-month leak-out schedule. GSRX Industries Inc. (OTCQB: GSRX), through its subsidiaries, is in the business of acquiring, developing and operating retail cannabis dispensaries and is in the process of expanding its business to include the manufacture and delivery of cannabis and cannabinoid products. Currently, GSRX operates five cannabis dispensaries in Puerto Rico under the name Green Spirit RX, one dispensary in California under the name The Green Room, and has five additional pre-qualified locations in Puerto Rico, all of which are in various phases of development and construction. GSRX also owns and operates the e-commerce site GetPureAndNatural.com , which offers a broad range of pharmaceutical-grade CBD products. Interview with Edgar Montero, President/CEO, Chemesis International Inc.